A wedding day is one of the most important days in one’s life. It should not be difficult to decorate for the occasion. 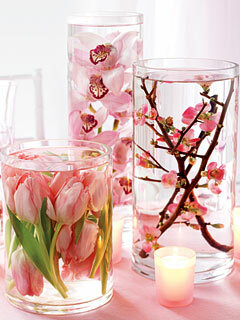 Many weddings take place in several locations, which provide several opportunities to decorate for this grand event. Besides tradition wedding decorations such as flowers, there are also many other ideas that can be used in wedding décor. Here are some tips that can help you in decorating your wedding venue. 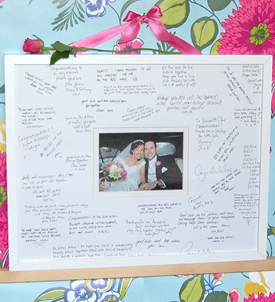 A photo of the bride and groom, framed on a large white mat, allow guests to express their thoughts on your wedding day. The photo must be placed on an easel with a marker so that guests can sign before the ceremony. This photo will be a perfect gift for the newly married couple to recall the people who shared their memorable day. One area to decorate for a wedding is reception tables. To make a unique and attractive centerpiece, you will need a small fish bowl, small glass stones, Gerber daisies, and waterproof glue. First, glue four to five glass stones on the bottom of a Gerber daisy and let it dry. Now fill the bowl with water and place the daisy in it. Press down the flower to sink it completely. The stones must weigh down the flower in order to make it sink to the bottom of the bowl. Give a personalized touch to the wedding ceremony by using a wide ribbon in your favorite color and draping it across the back of the pews or chairs. 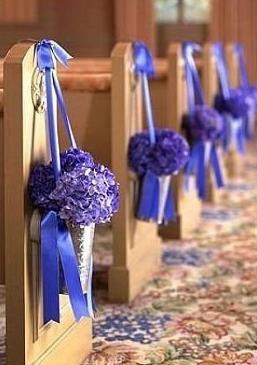 Add a stunning effect by tying bows at the entrance of each row of seats.